Parmigiani Fleurier and Bugatti date back until 2004 now. Both brands have reached a certain level of creativity and technology in their respected fields. It is a collaboration – one of the few actually – that I adore. A lot. Why? Well, there’s a pretty simple answer to that question. 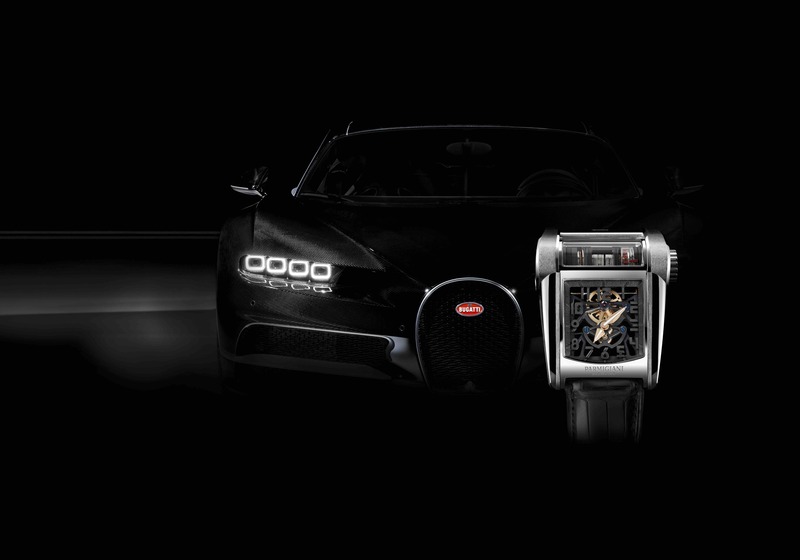 Both Parmigiani and Bugatti create astonishing things. The even crazier than the other – still on the edge of what their industries allows them to do. 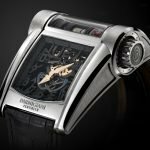 On a search for difference and the realization of true creativity, Parmigiani Fleurier created a new Bugatti timepiece for their collaboration. 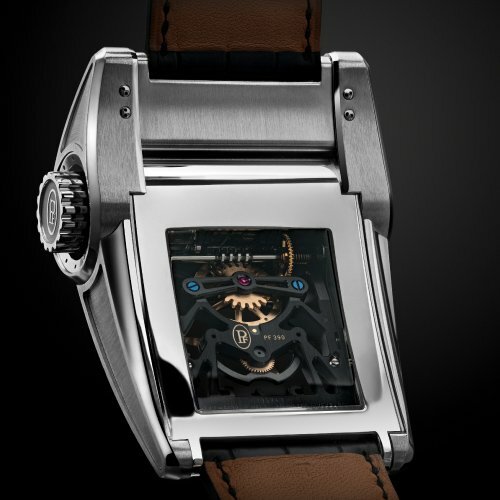 It’s called the Parmigiani Fleurier Bugatti Type 390. 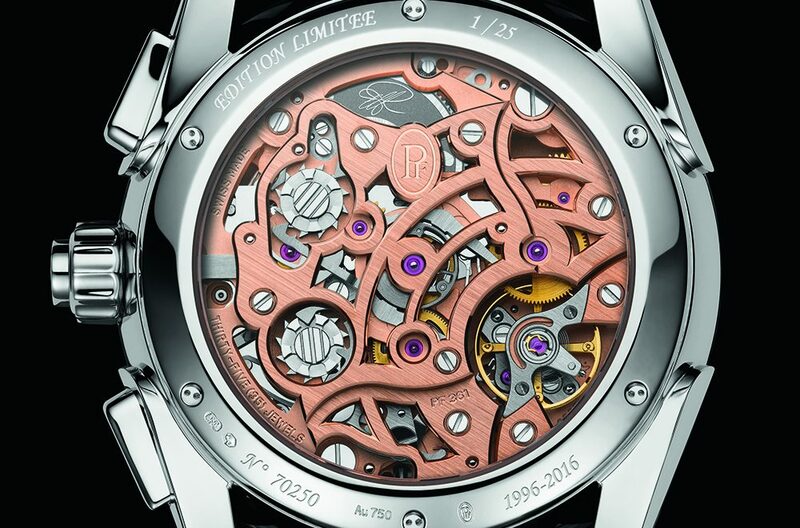 This new watch has been deemed ‘engine for your wrist’ by Parmigiani. 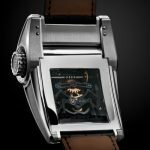 In all enthousiasme I really like to agree with them, since the watch displays a lot of techniques – something we also see when taking a closer look at the Chiron. 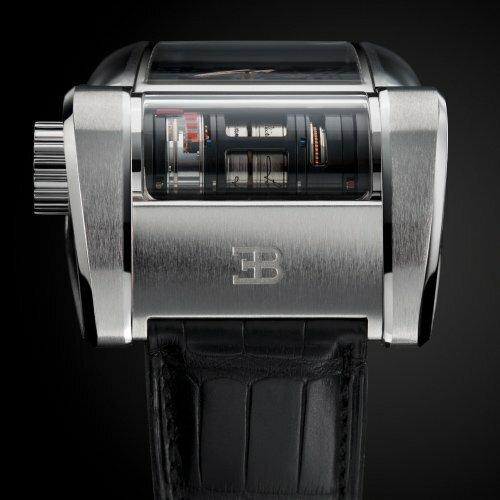 It is their newest addition to the Bugatti family and it seems that this watch displays their search for change. The latest Bugatti creation has been equipped with a cylindrical movement lay-out. 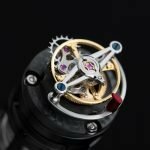 Which means the overall placement of key parts and visible aspects – like the tourbillon – differ a lot from what we’re used. 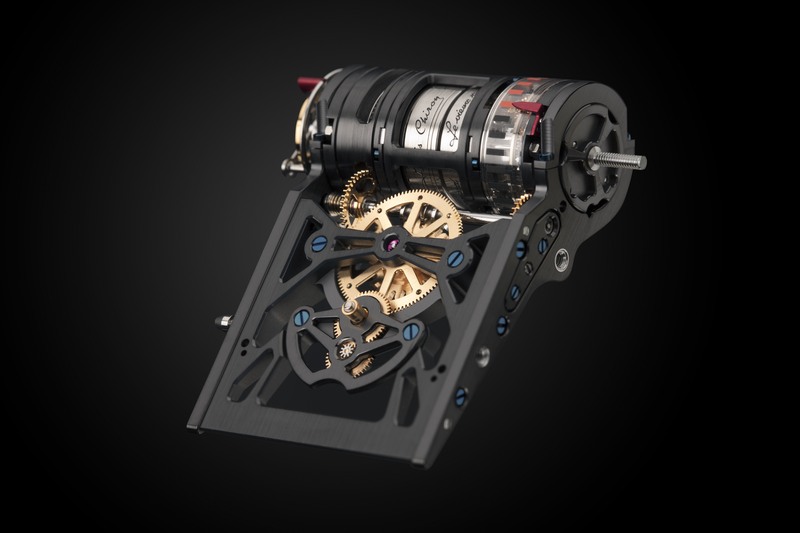 This crazy horological piece is made with worlds smallest ball bearings and carries a flying tourbillon that finishes a turn in 60 seconds. 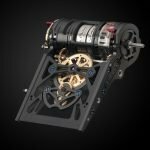 Parmigiani’s latest creation will arrive in two different variations. There will be 10 pieces equipped with a white gold case and black open-worked dial and 10 pieces with a red gold case – the dial is the same. 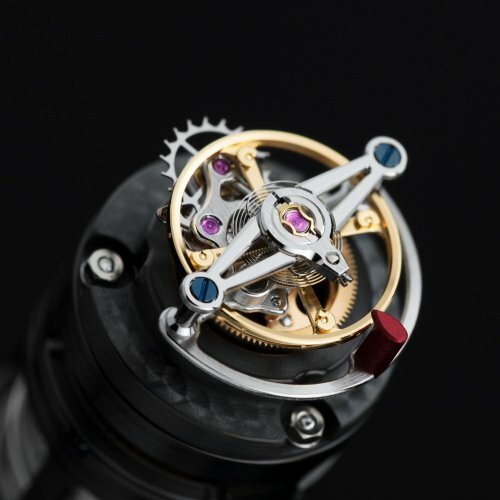 The fully in-house manufactured PF390 Calibre is new and gives the watch the unique lay-out as displayed in the pictures. Do not hesitate if this watch is cool or not. 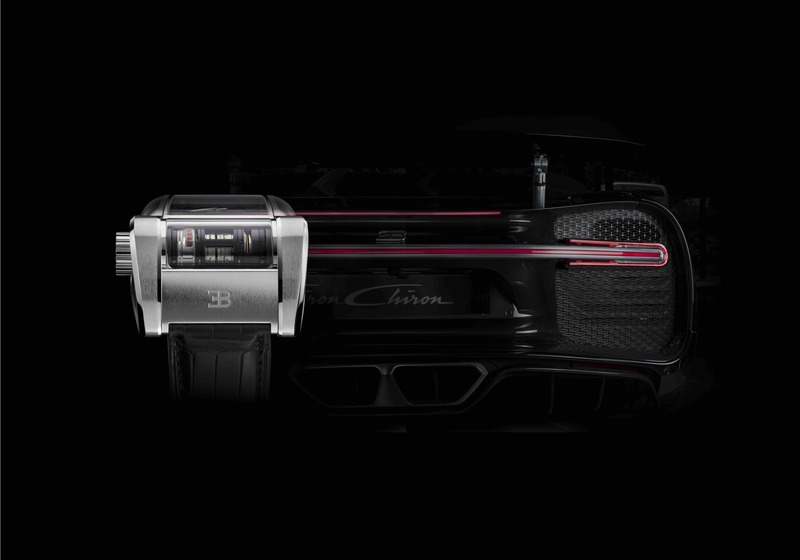 People who buy Bugatti Chirons have a totally different taste compared to us – footsoldiers. So try to work your imagination and you’ll get the design. When taking a closer look at the case, you’ll see that it has different brushed/polished angles. At first it may look a bit like this watches has not been finished. However, if you pass the 10 seconds of not -staring – you’ll see the well-balanced design. It all falls perfectly together like a huge puzzle. As said, this watch will come in a total of 20 pieces. All pieces are priced at CHF 295.000. Not cheap, but then again, you’ll probably buy a Bugatti Chiron, so this amount is pocketchange. 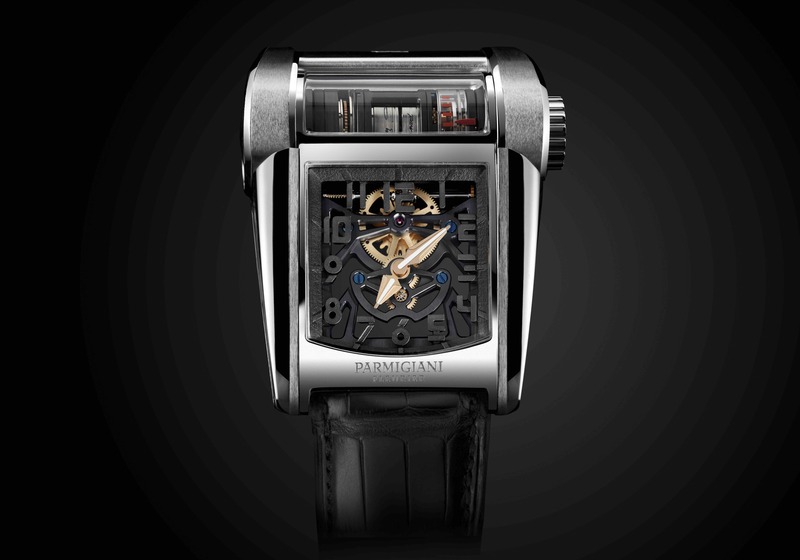 If you want more information, check out Parmigiani’s website. Let us know what you think.